For the second consecutive year, Trek7 partnered with Serve the City. 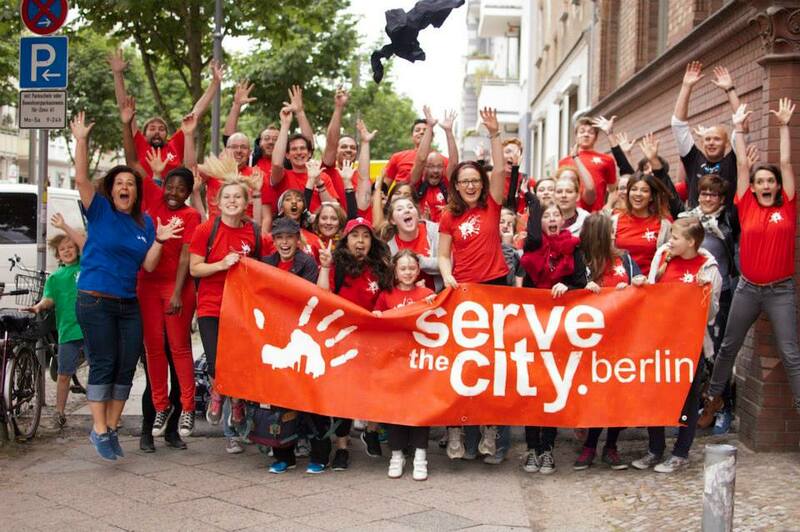 Serve the City is a Christian volunteer movement that started a decade ago in Brussels and has spread to more than 90 cities on three continents. Christine, who coordinates Berlin’s Serve the City efforts, says that STC tries to make it easy for people to serve and care for the poor and needy. “Many people doing small things can change the face of the world,” she says. The Trek7 team worked alongside local volunteers, helping to strengthen Serve the City’s existing partnerships and increasing its capacity to help those working for good in the city. Some of these projects include gardening at a home for the disabled, painting walls and connecting with residents at a nursing home, playing games with kids at a children’s club, making and serving sandwiches for the homeless and caring for prostituted women. Even though the Trek7 teams only come to Berlin for a short time over the summer, Christine hopes that the inspiration they bring home will have a ripple effect. Watch the video and learn more about Serve the City.